Jamel’s poetry is new and refreshing, for he mixes older ideas with several new points of view on love. He has given much efforts and energy into the flow of each poem, which follows a unique pattern. Many of his poems are about the idea of finding and keeping love, and he has a rhythm to each line. Each word flows into the next, with each following a simple, yet unique flow. The themes of love bring expressed clarity to the experience of life, love, and death. The imagery conveys the emotions of each poem along with themes that ignite one’s own imagination about love. His poems: “I Care 4 You”, “Untitled,” and “My Day Apart,” and “If I Should Lose You” are just a few of my favorites because of the stories they express. I had a hard time choosing these poems out of the collection because starting with ” I Care 4 You” and continuing with all of the following poems, Jamel’s poetry breaks the mold of grammar and still holds the reader’s attention. It’s a jewel worth keeping. 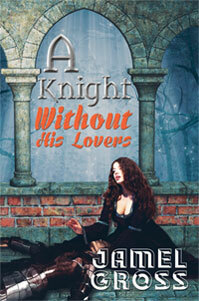 Jamel Gross’ A Knight Without His Lovers is available here.